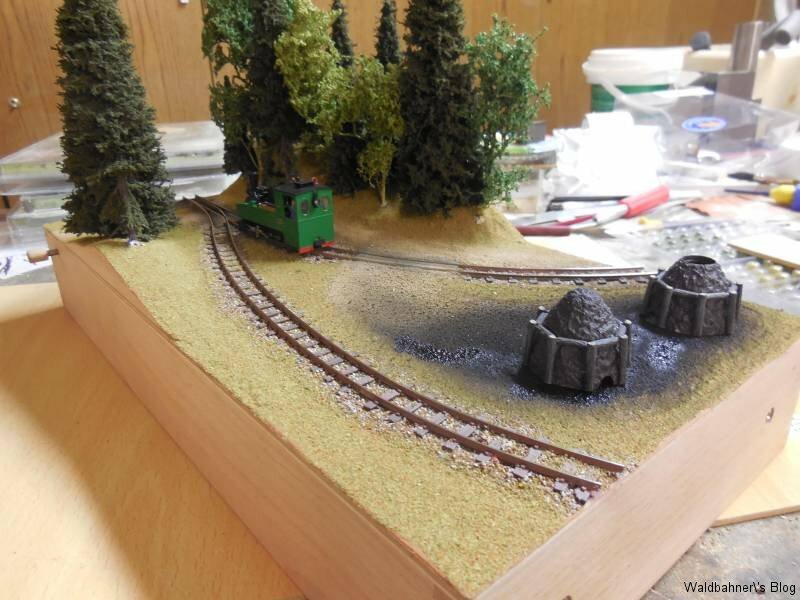 As mentioned in the last post, here are the photos of the 3rd segment ‘wood storage at the charcoal burning’. 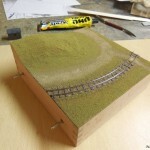 As the space around the charcoal piles is rare and I had no idea what to place on the connecting little 20x20cm segment, I combined both segments into one scene. 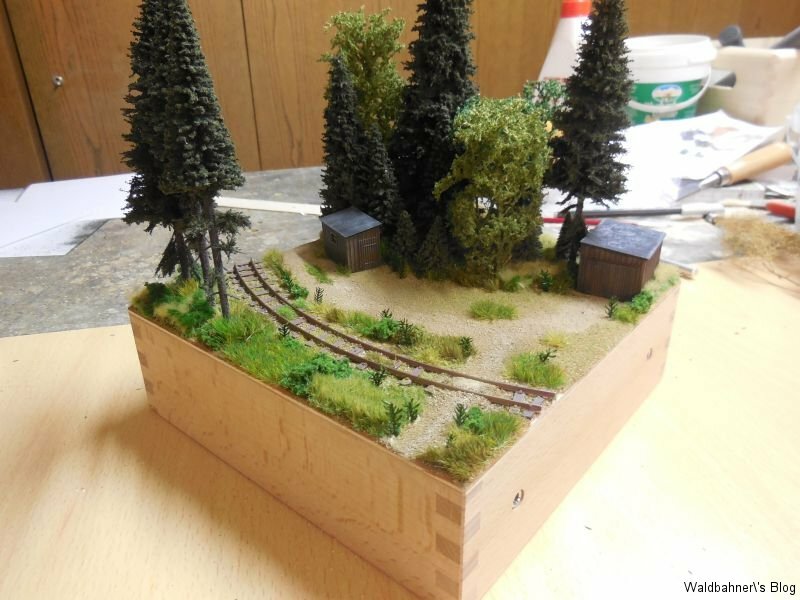 I placed two storage sheds for tools and other stuff and I’ll add wood piles later which will be used to set up new charcoal piles. 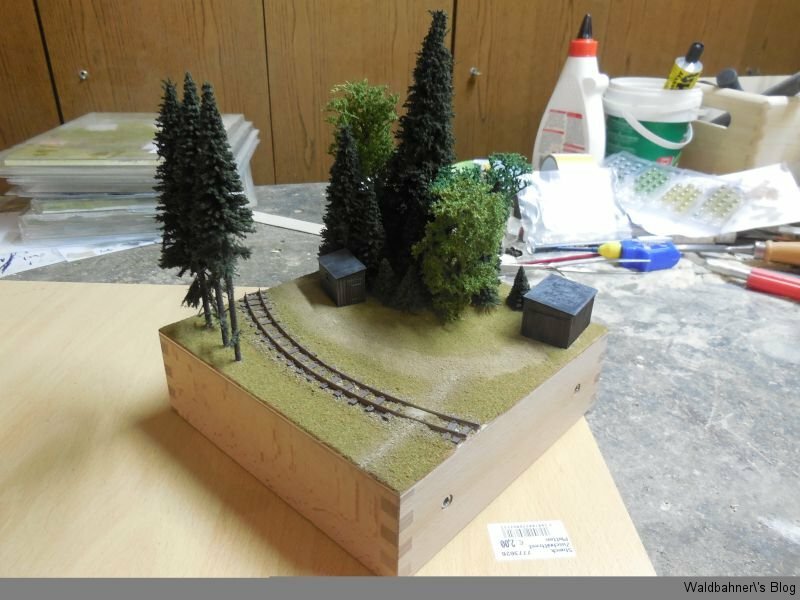 Once I added some details, wood piles and figures, this segment will be done too. 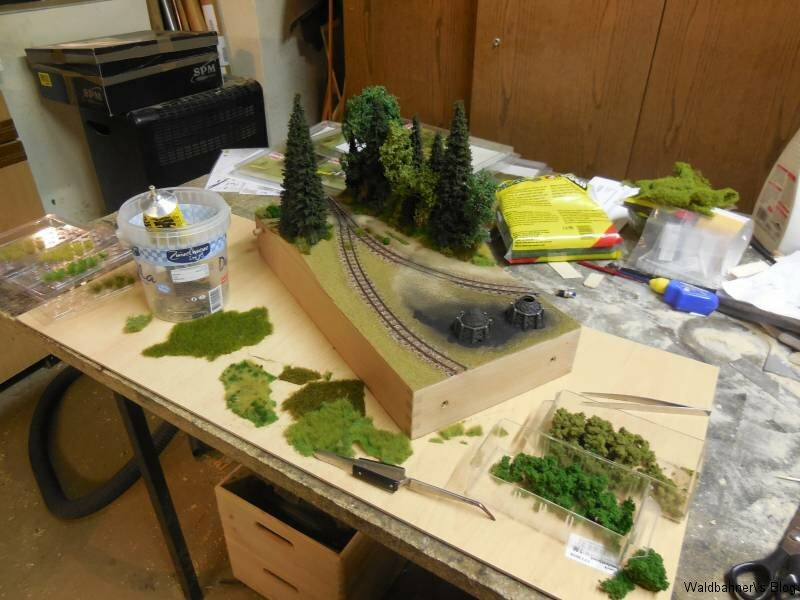 Hello again for another progress report. 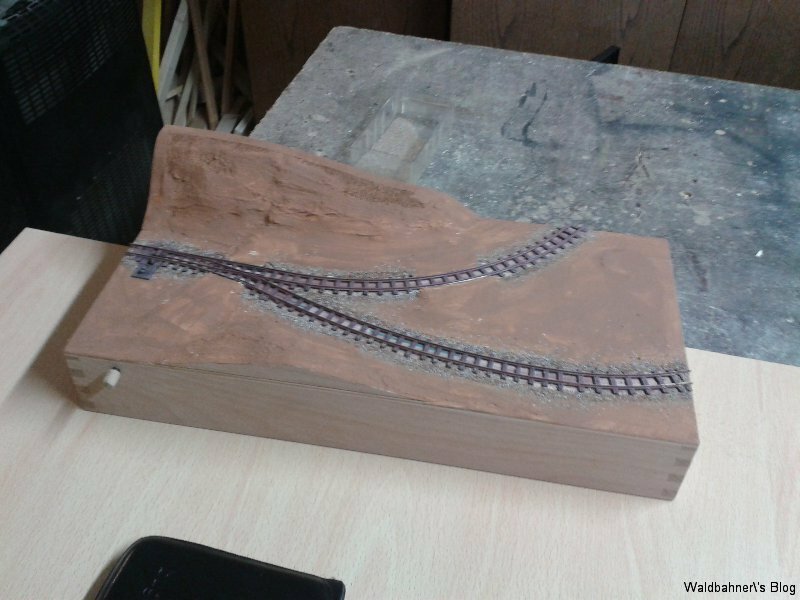 Beside this segment, I also made progress on the following 20x20cm segment for the curve, which will show the material storage of the charcoal burning. 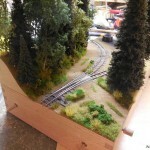 Photos of this segment may be added next weekend. 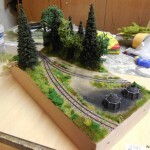 Hello again to another issue of my blog. 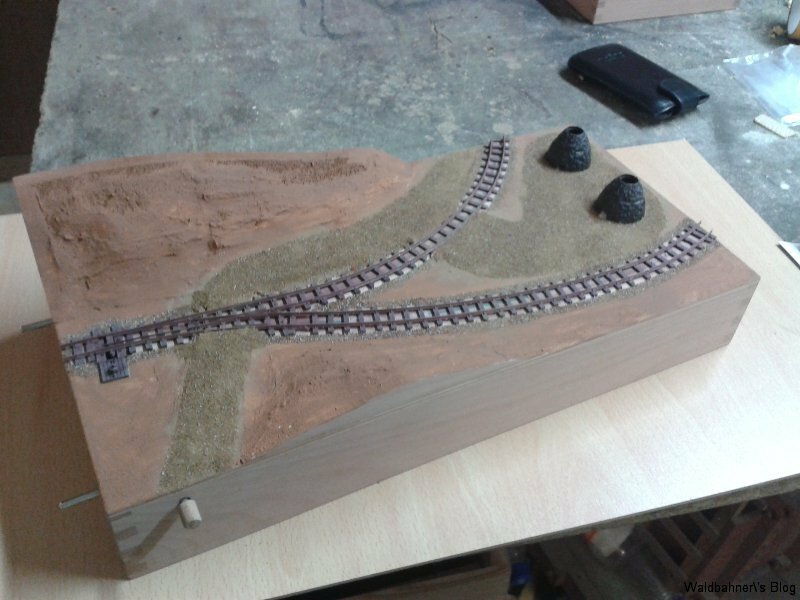 I did some good progress on my char coal pile segment. 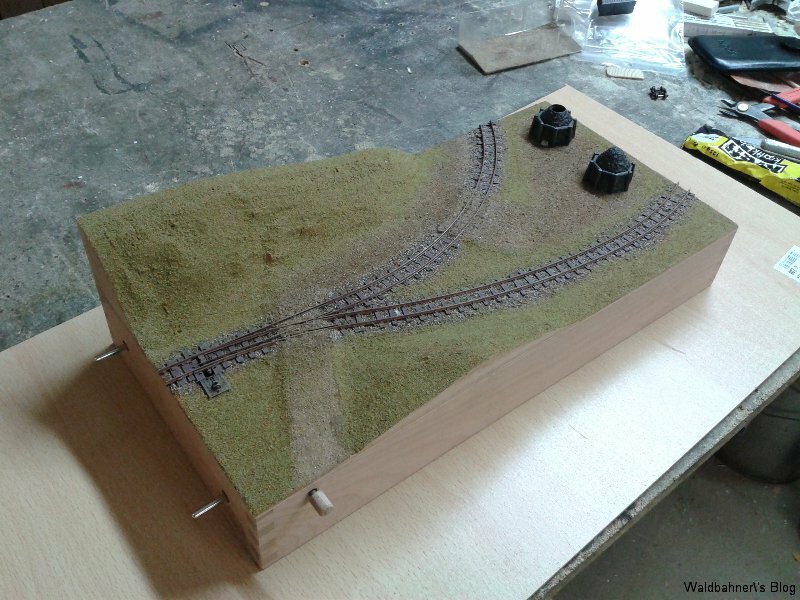 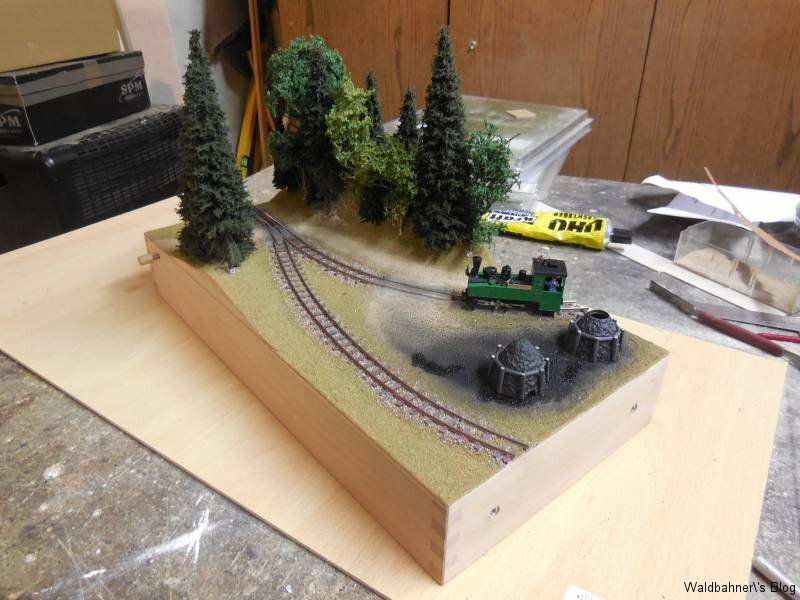 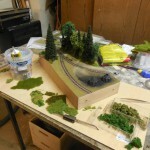 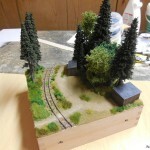 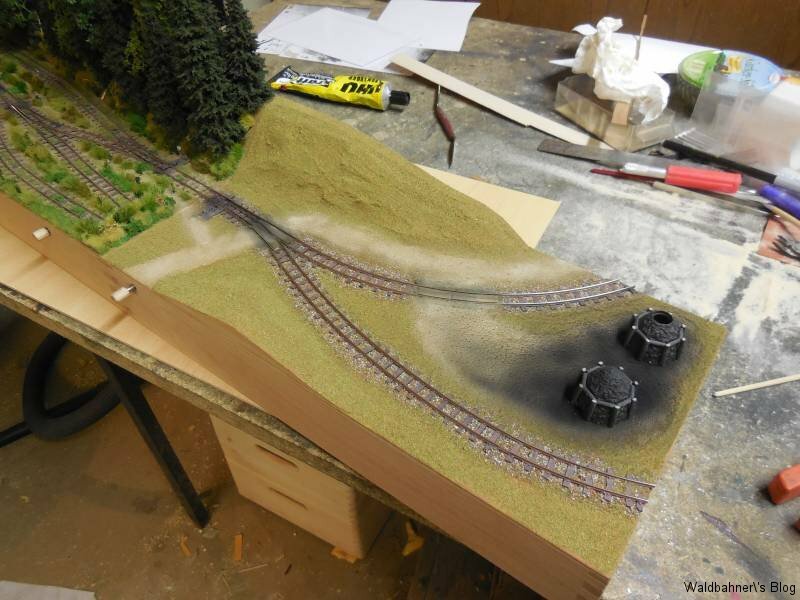 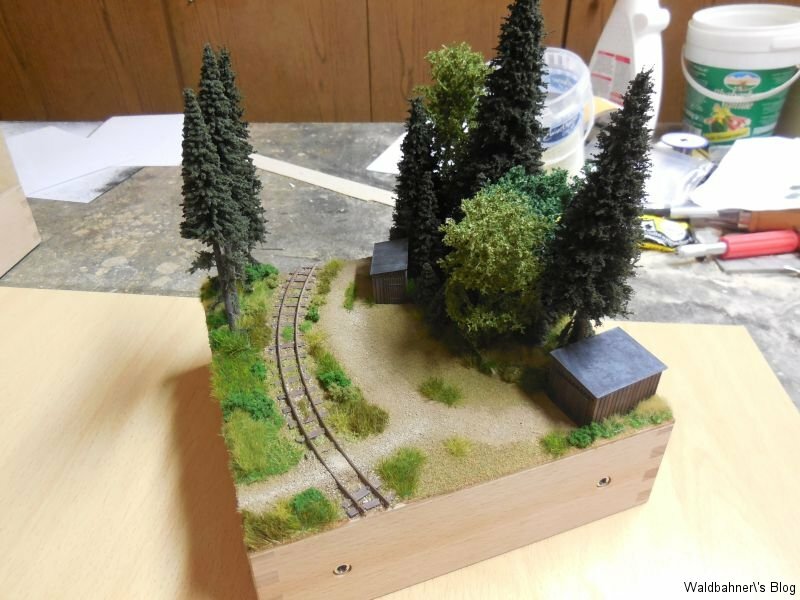 The tracks are ballasted now and I added the ground cover with fine turf and dirt to make the roads and base for the vegetation. 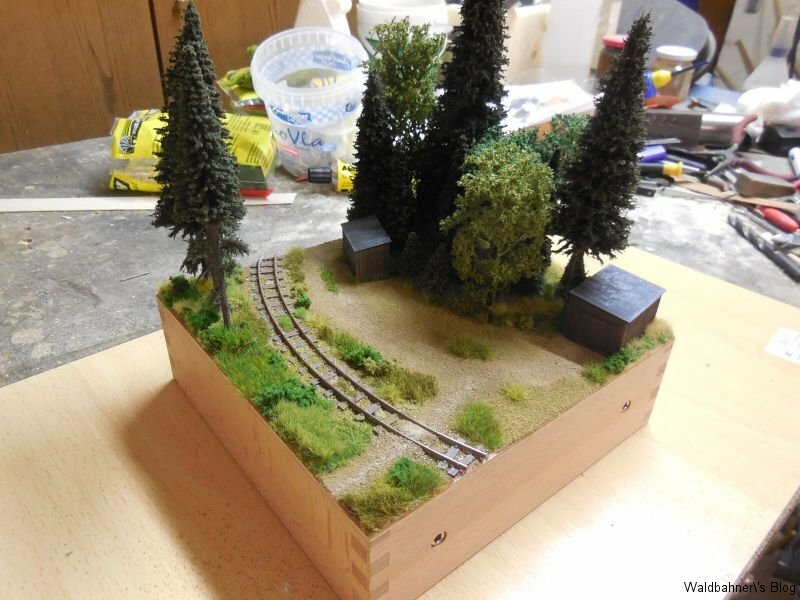 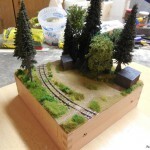 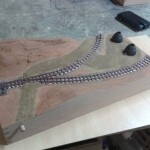 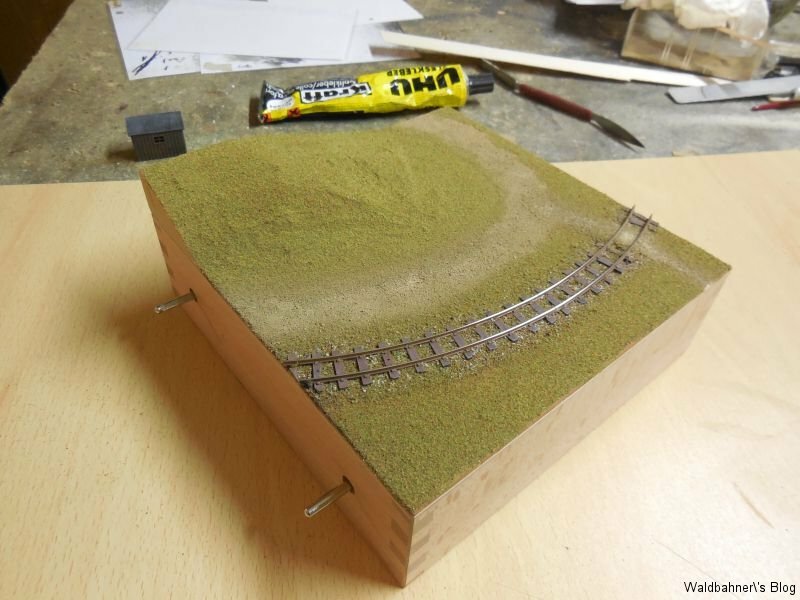 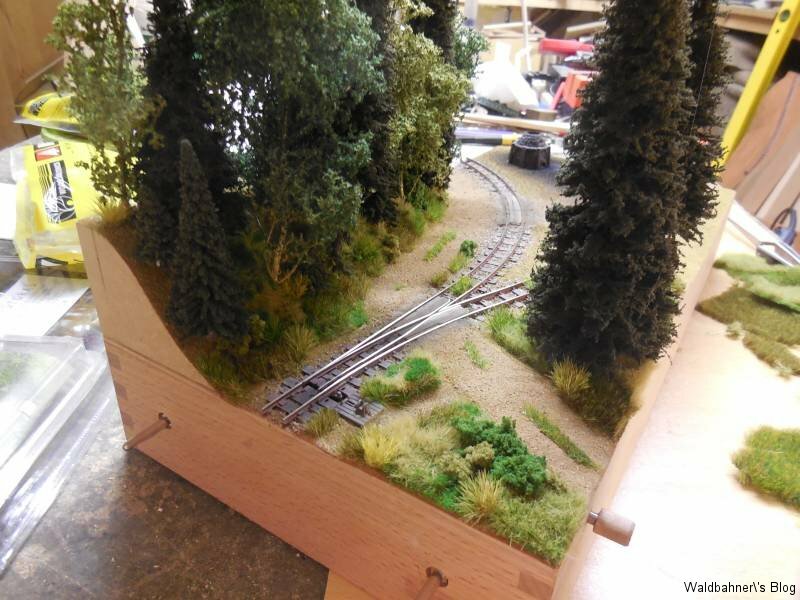 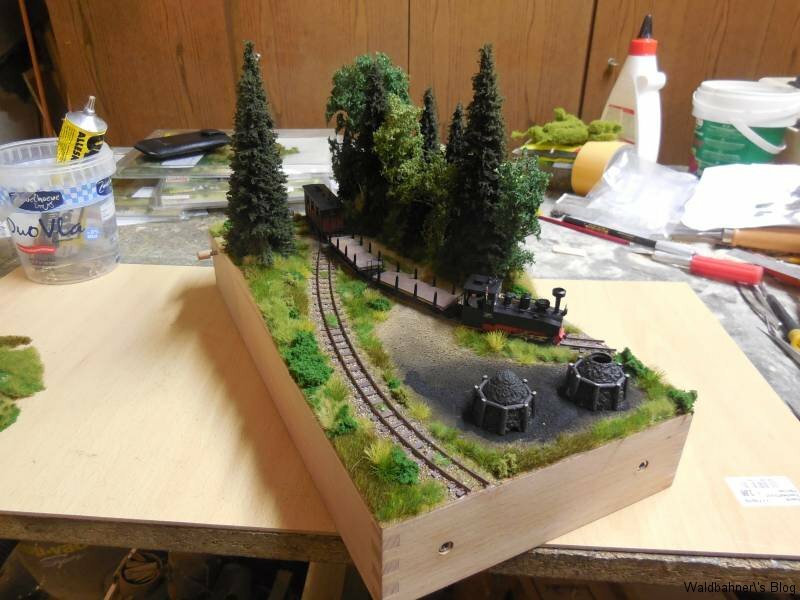 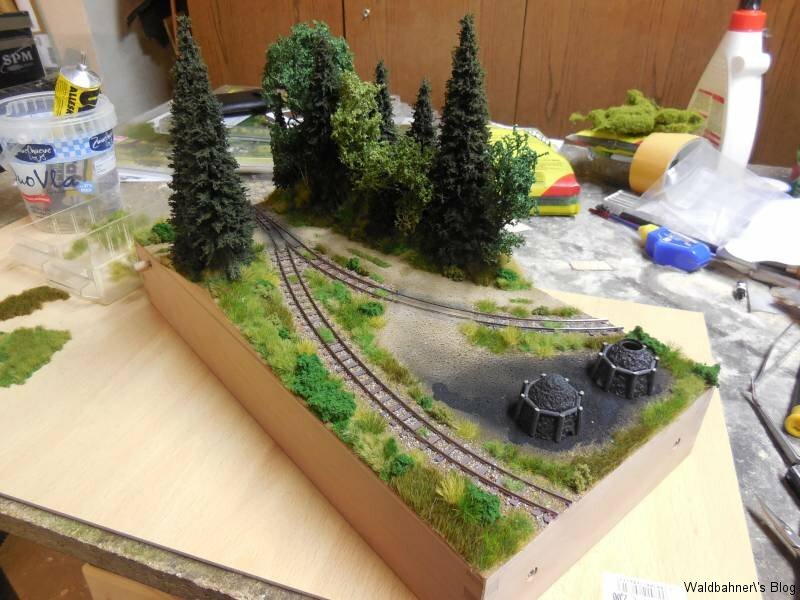 Once everything was dry, I added wooden boards between the rails on the level crossings. 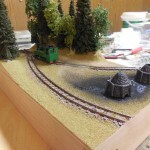 I assembled and weathered the char coal piles and some sheds for tools and stuff. 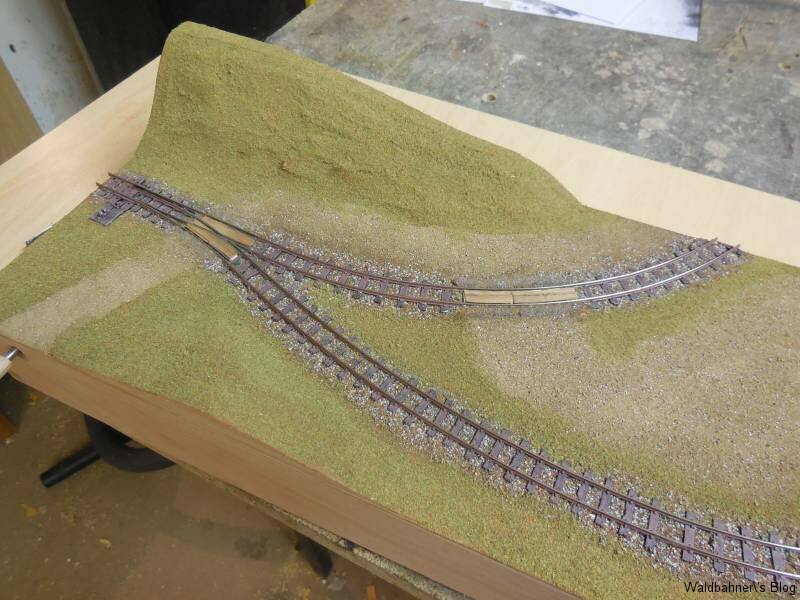 The sheds will not fit on this module and will be placed in the following little curved segment together with wood stacks. 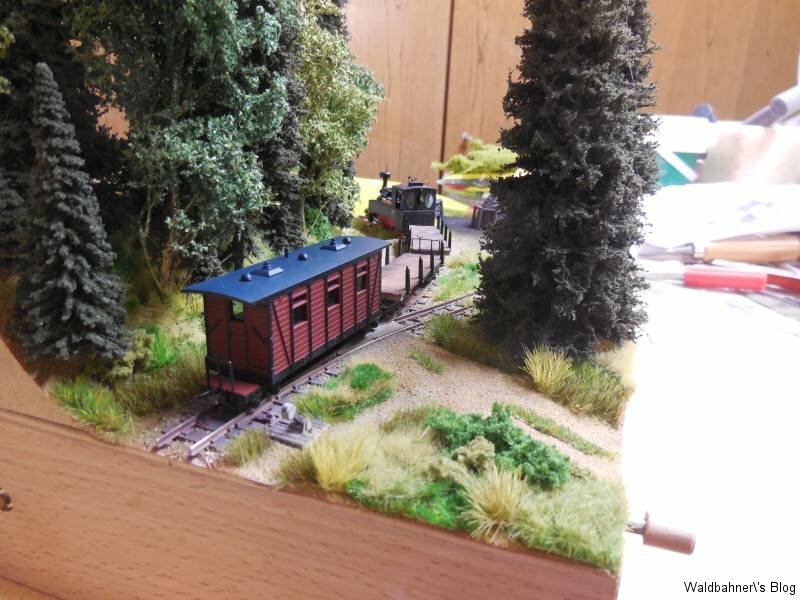 I did a log-train-run in my backyard with my Fn3-stuff in August 2014. 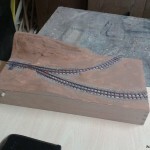 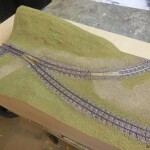 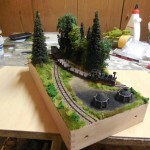 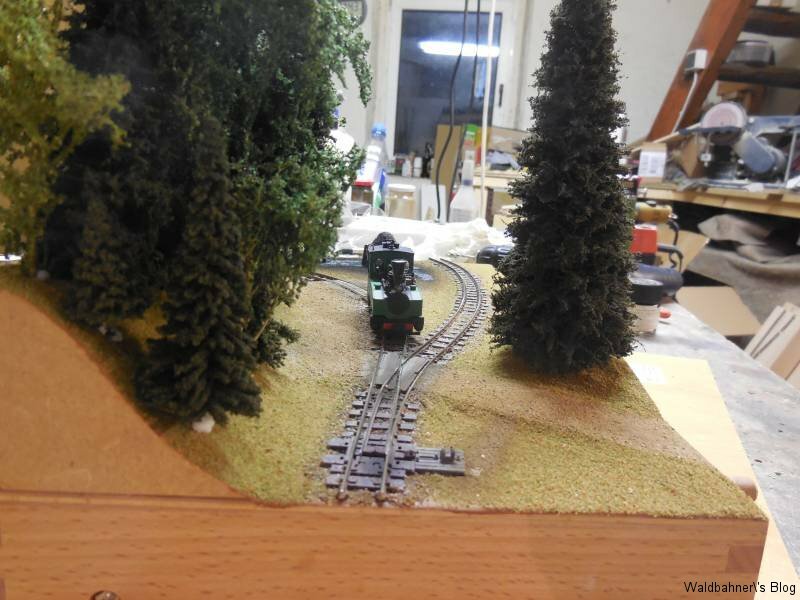 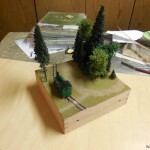 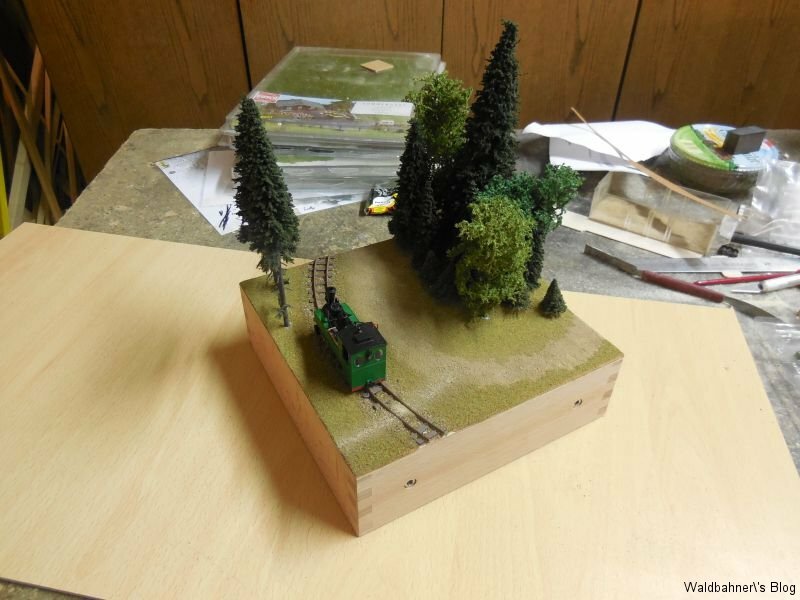 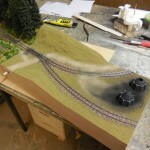 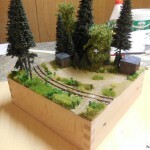 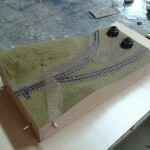 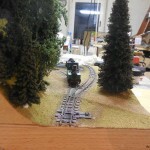 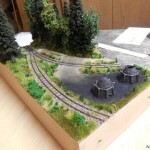 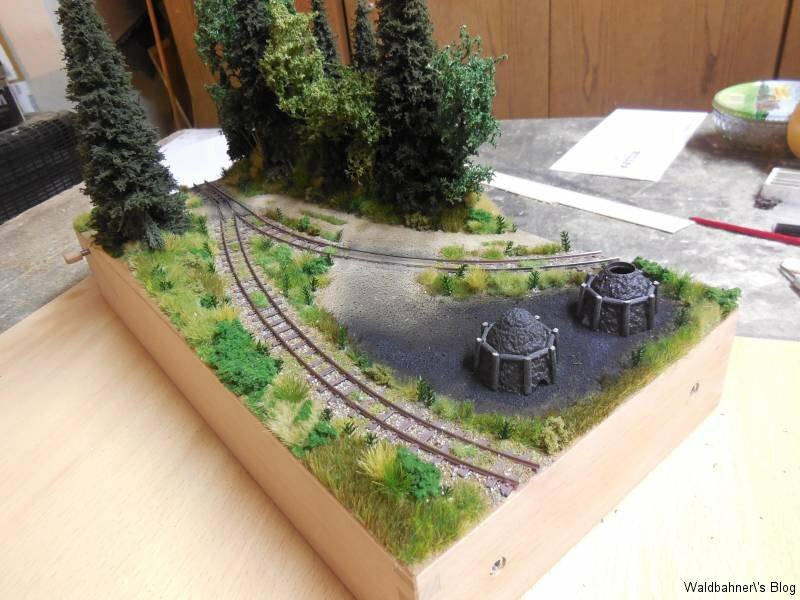 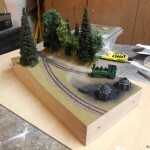 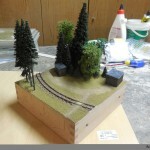 I laid my tracks as a point-to-point line instead of a loop and did some “log train action”. 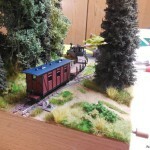 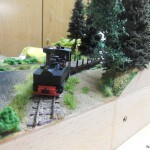 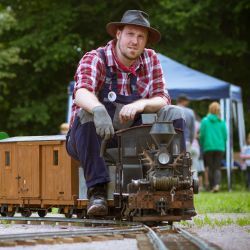 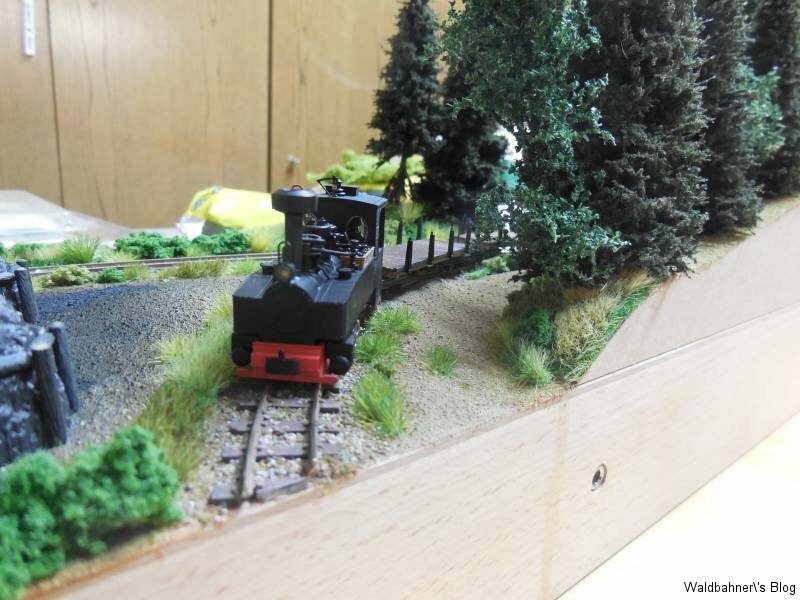 To start the BBQ season, we were at my parents home and I run my Shay with log train on the garden railroad.